TELSCO Care Connect is a medical alert system for seniors that allows you to stay connected to loved ones using Passive Activity Awareness & Instant Alerts. Do you have elderly loved ones living on their own? Do you worry about them, or wish you could check on them more often? 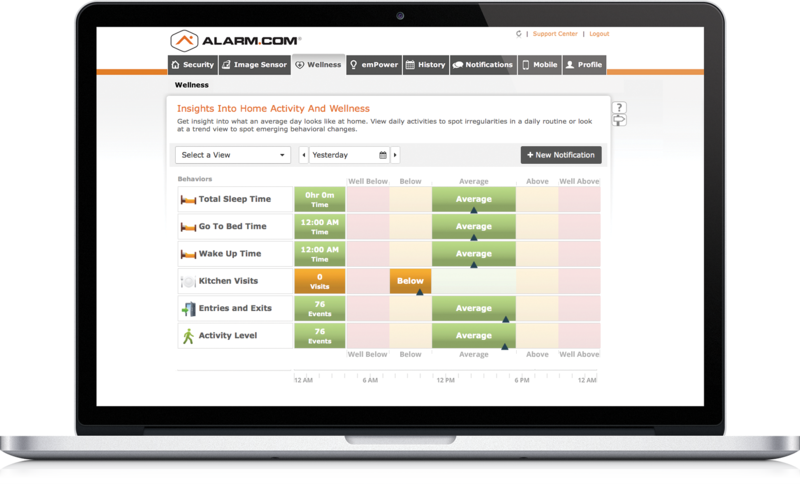 Log in from anywhere, anytime, on any device to find out how much time a loved one spent in bed, or a favourite chair. Receive an Alert if there has been no activity, or if a medicine cabinet has not been opened. With unlimited log ins, your support network can be as large as you need. Your family members want to stay home as they age, but they want the security of knowing someone is watching out for them. More comprehensive than a Stand Alone Medical Pendant, Wellness Monitoring Systems act as a full safety net, allowing you to respond pro-actively when a loved one needs you. No need to wait for a button to be pushed, or worry that it wasn’t being worn. Personal medical alert Panic Pendants can be incorporated to a Senior Wellness Solution for an additional layer of response. With Automation Devices, such as locks or thermostats you can help enhance the safety and convenience of a loved one from anywhere. 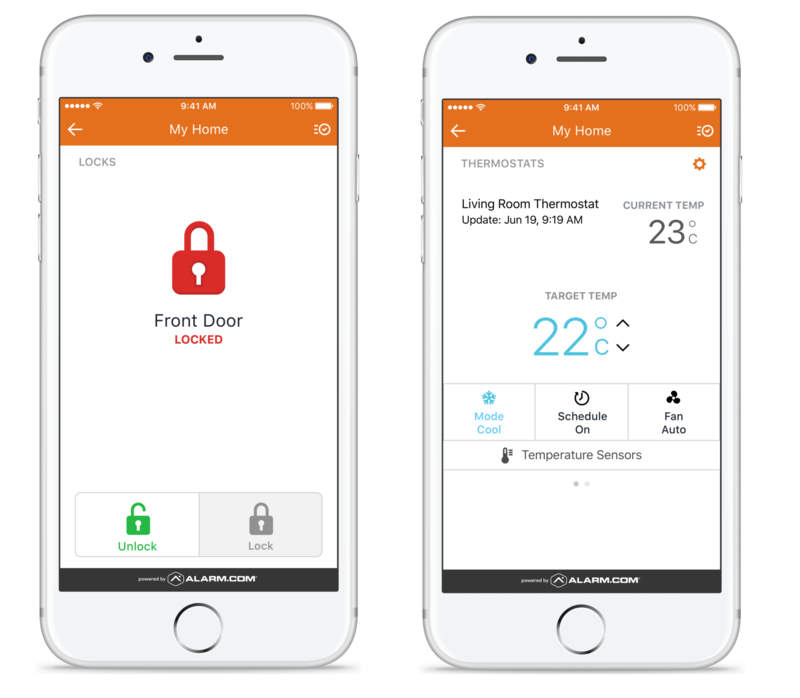 Set up automated Heating Schedules to ensure the home remains at a comfortable temperature. Receive an alert if the temperature becomes unusually hot or cold. Set up alerts to let you know if the door wasn’t locked at bedtime. With remote access, you can quickly and easy lock the door from your phone without disturbing your loved one.